In 1996, Richard Carlson wrote a very successful book on stress relief entitled: Don’t Sweat the Small Stuff. His approach was to de-emphasize those tasks and issues in our lives that drive us crazy and are, from his perspective, not that important in the big scheme of things. It was a great read and honorable attempt at making our lives less stressful and more enjoyable. Unfortunately, in business and in particular – in restaurants, it is the small stuff that adds up to business success or failure. It will always be the details that separate the business leaders from the lagging followers, the ones that thrive vs. the ones that hang on for dear life. A chef’s day is filled with important details that must be focused on because it is the accumulation of well-executed details that will build the restaurant brand and create loyal followers. The chef must have a laser sharp mind that can zero in on the minutia and create the experience that guests expect. It will be the small details that differentiate one restaurant from another. It is 5 a.m. and the alarm clock cries out in a chef’s bedroom. As the fog of a restless nights sleep begins to dissipate and clarity comes into play, the chef starts the process of preparing for another day. After a few stretching exercises, a respectable breakfast, shower and two cups of coffee, this restaurant careerist is off and running. At 6:45, the chef’s day has begun. The initial walk-through of the kitchen is a mental follow-up on how the evening crew finished their shift, a review of last night’s service, check-in with the prep crew already at work and run through of the BEO’s hanging in waiting for today’s execution. The chef checks the cleanliness of stoves, rotation and labeling of product in the coolers, spot checks glassware and china for water spots, peers under counters to ensure that the floors were attended to, verifies that coffee makers were cleaned properly, looks at the reservation book for the day and runs through the deliveries of product scheduled to arrive. While completing the tour the chef notes that stove top cleaning was not up to par and no one ran the hood filters through the dish machine as was scheduled last evening. He will need to come down pretty hard on the evening crew when they arrive. Failure to clean every day, as was the plan will build into a significant problem if left unchecked. He or she spends time with the prep crew as it is noticed that far too much flesh is left on the bone structure of fresh fish after filleting. It will be these small “misses” that will make the difference between profit and loss. Stocks are already simmering and breads are coming out of the oven. He points out to the prep cook that his mirepoix was not adequately caramelized and will have an impact on the flavor and color of the stock. Since this is the basis for the restaurants soups and sauces, the stock quality is of consummate importance. Orders begin to arrive by 8 a.m. and the chef makes sure that he or she is there to check the quality of ingredients, the weights and amounts, the sourcing of the raw materials ordered and the prices that should match what the vendor quoted. Carrots, green beans, and asparagus should be of the right size, color and texture (so the chef will snap and taste), oranges of the right count and when cut open bursting with sweet flavor, scallops must be sweet smelling and dry, eyes and gills on the fish should be clear and vibrant, meat eyes on the strip loins and the marbling of fat – indicative of the USDA Prime grade that was ordered, and any canned goods free of dents. This is a very critical part of the day because the quality of raw materials will determine the quality of the finished product. The chef reviews all BEO (function sheets) with the prep staff and makes sure that recipes are adjusted to the amounts needed. Yes, the chef uses recipes to ensure that the quality and cost is consistent and well managed. The dishwashing crew arrives and the chef spends some time checking the cleanliness of the machine, calibration for cleaning chemicals, machine wash and rinse temperatures and organization of the area. Clean plates are the hallmark of a well-run kitchen. The chef reviews the process of making sure that plates are double-checked before being placed into service, stacked and stored in the proper location and free of any cracks and chips. Throughout the mise en place phase of preparing for service, the chef is inspecting knife cuts and cooking methods as well as tasting items to help cooks build their flavor profile while making sure that the restaurant’s standards are consistently adhered to. At 4 p.m. the dining room crew arrives for set-up and the chef does a walk-thru with the front of the house manager inspecting table levels, the crispness of table cloths, table top appointments, repairs needed on any chairs, clean windows, appropriate temperatures in the room, music levels, lighting, bathroom cleanliness, bar set-up and the quality of the physical menus. When 5 p.m. arrives the chef does his final tasting of items on the line and takes part in dinner pre-meal to make sure that the service staff is familiar with evening features, suggested wines, and the manner with which they should approach upselling items to guests. By 5:30 when the doors open and service is about to begin, the chef feels comfortable that they are ready to service the guest and exceed their expectations. All this before a single dish is ever cooked and presented. It will be this focus on everything that makes a restaurant successful. The cleanliness of the parking lot, attention to landscaping, polishing of the exterior sign and the brass hardware on the entrance door, arrangement of bottles on the back bar, crispness of server uniforms, first aromas when a guest enters and the sincerity of the host welcome will all play into a restaurant’s ability to turn a guest into an ambassador and leverage this for on-going business success. 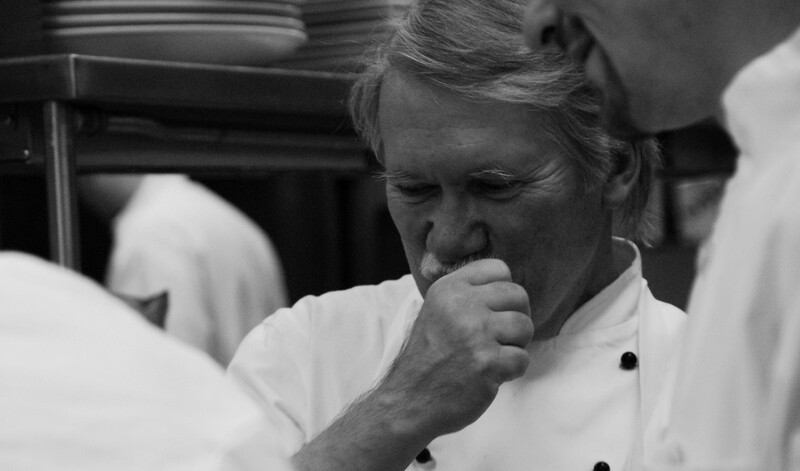 This is an every day, every minute process that is at the heart of a chef’s job description. Sweat the small stuff-everything matters.